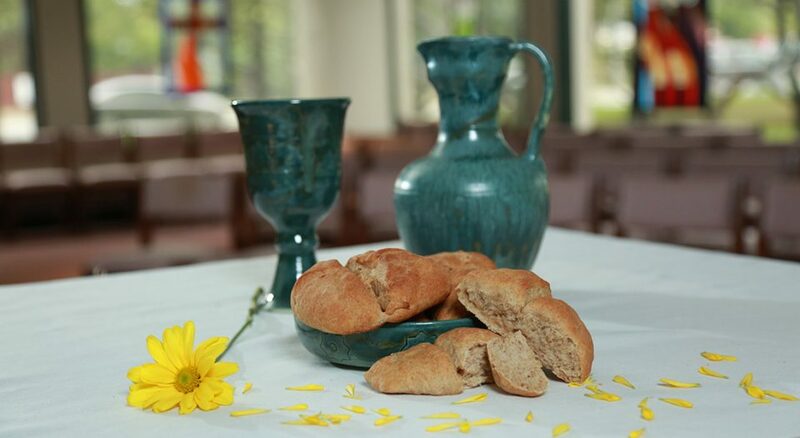 The communion bread my wife Kathy brought home from the Easter Vigil at Abiding Hope Lutheran Church in Erie, Pa., was the late Milton Sontheimer’s recipe. It was light, slightly sweet and had a giving crust. The bakers had pressed a cross into each round, just like he did. Kathy coined the term “Jesus bread” for the recipe and it feels right. A couple weeks ago a boy at St. John Lutheran, my current call in Greenville, Pa., didn’t have cookies after worship. His smile told me that the Jesus bread he chose instead meant something an Oreo never could. Our grandson Cole loves Jesus bread. All kids do and, truthfully, nobody ages out of this population. No pastor has lifted the bread of life with greater tenderness than my atheist son did before asking if he could eat some. Cole was the intended recipient, but our friend would have blessed Micah’s share. “This is the best bread ever,” he said from the couch as television served up our daily portion of absurdity. With due respect to Milton, flavor was only part of my boy’s heathen verdict. Micah grew up in the church and was filled with ire during his teenage years. When ninth grade arrived, Kathy and I asked him if he wanted to get confirmed. He had been prepared, but that wasn’t the issue. The “Affirmation of Baptism” isn’t about learning, but belief. And Micah said he didn’t believe. After saying no, Micah has traveled continents of speculation and isn’t finished yet. Kathy and I are fine with this. Our God isn’t about litmus tests at the pearly gates of heaven. Besides, belief is like love—you can’t force it. So if Micah’s taste for Jesus bread isn’t inspired by the cross, what’s it about then? I have a wager. The old Sunday routine that started with protests about getting out of bed and heading to church has leavened into a sacrament. As parishioners well know, church families can be at once nurturing and wounding—just like other families. But Micah’s experience was blessed. Sure, he endured the obligatory participation that came with being a pastor’s kid. He suffered through boring classes and dirgy hymns and hours of youth group. Still, when Micah spoke his unorthodox words of institution, “This is the best bread ever,” he wasn’t remembering the hard heels of church life. Milton’s recipe carried my son back to the acceptance of believers from years past. In short, Micah’s church siblings love him. When his brooding, black-clothes years came along, they weren’t scared away. When he disappeared from the pew altogether, they didn’t forget about him. When he returned for Christmas Eve, their faces assured him he was at home. Jesus bread is love, and Micah is far from alone in calling it the best bread ever. Jesus bread is abiding hope. Its sweetness tastes of belonging. Its mercy does not insist on its own way. Even before consecration, Jesus bread believes all things and endures all things. Knowledge comes to an end, but love? Never. When Cole finally tasted his share of Jesus bread, he said, “Moy,” his word for more. There’s always “moy” for anyone and everyone. Maybe this is a heresy. Maybe the ear of my heart just translates its own dearest prayer and conviction: Eternal Love cares above all about our hunger. Nobody has to earn Jesus bread. Mix together and set aside until foamy, then add to above. Add to above and mix with a dough hook for 8 minutes. Put dough in a warm greased crock. Cover and let rise until doubled, about one hour. Punch dough and divide into 6-ounce pieces (nine total). Round up and let rest 10 minutes. Pin out in a round shape. Place on parchment lined pans. Score a cross lightly over dough. Cover with a cloth and let rise for one hour. Bake at 350-375° until light brown on bottom, about 14 minutes. Remove from oven and wash with melted butter. When cool wrap with plastic wrap and then foil. May be frozen. John Coleman is pastor of St. John Lutheran Church, Greenville, Pa.